Shopping on Amazon.com? 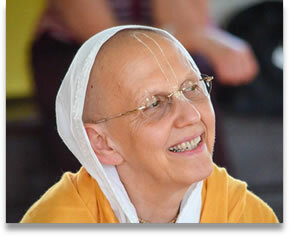 If you type in www.smile.amazon.com and select ISKCON Alachua when prompted, then make your purchase. 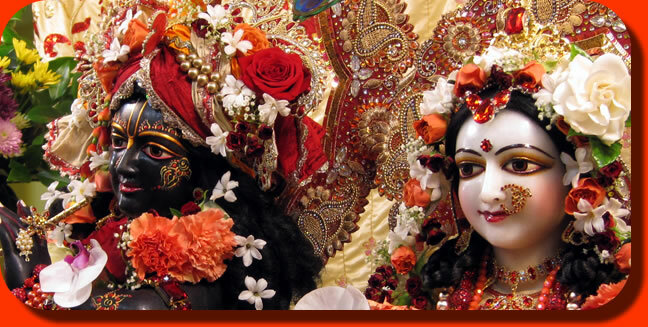 Amazon will donate a portion of the sale to ISKCON Alachua! Nice way to help others donate to Krishna!! 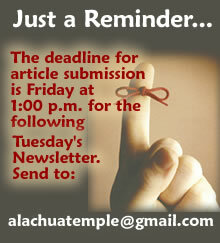 Alachua Temple is now on Facebook. Click this link to see. Come on in and check it out. Open Sunday from 4:00 PM - 8:00 PM. If you would like to get into our store during off hours, please call the Temple office. 386-462-2017. 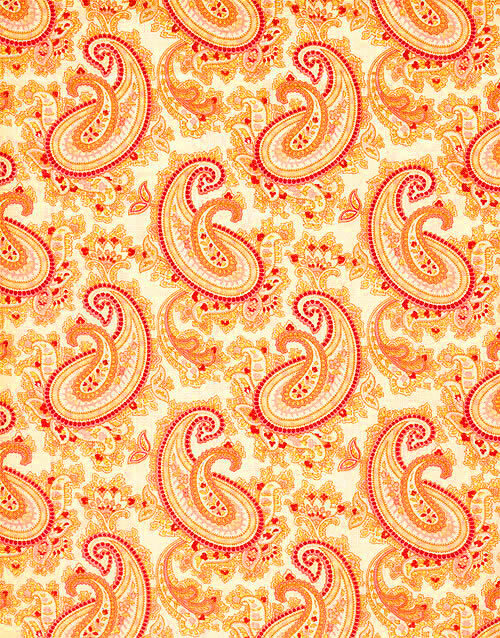 As always, thank you for supporting the Deity seva in New Raman Reti by shopping at Govinda's Gifts. We would like to thank the devotees for kindly sponsoring the Sunday Feast throughout the year. Feast sponsorships are available for April and May, 2019. This is a wonderful and auspicious way to honor birthdays, anniversaries, births, and departed loved ones, and get the blessings of Krishna and His devotees. Please call the Temple Office at 386-462-2017 if you are interested or click this link. 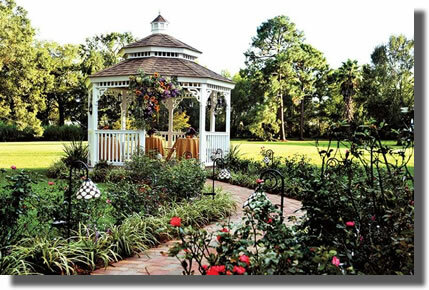 Now you can spend a weekend or longer experiencing the peaceful spiritual life of our Hare Krishna farm community. We currently have one guest house with three bedrooms that can accommodate up to 6 people. The guest house has WIFI. The charge for the guest house is $125 per night. Individual rooms may also be rented, depending on the number in your party. 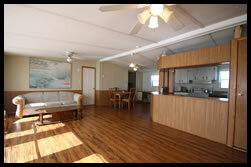 The master bedroom with attached bath is $65/night, the single room is $45/night and the bunk room is $49/night. These two rooms use a shared bath in the haallway. Breakfast and lunch are served at the Temple at 9:00 am & 12:30 pm, which are available to you if you are here at those times. Please note that check-in is between 3-8 pm and check/-out is by 11 am. For reservations please call 386-462-2017 or E-mail: alachuatemple@gmail.com to check availability. The morning sweets from our Deities can now be sponsored for a donation of $51.00. This is a wonderful way to honor a loved one or an event. Please contact the Temple office at 386-462-2017, or see Saksi Gopal das for more information. You can also sponsor online by clicking this link. New Family Room/Nursery at the Temple This space is a heated and cooled space for parents to take care of their babies and young children while listening to the Temple program via radio. Current open hours are festival evening programs and Sunday feasts when the gift shop is open. Additionally, a coded lockbox with a key inside is now installed on the building so parents can access this space during the daily morning program and festival morning programs. In case of a mental health emergency, follow this protocol. Also, click here for mental health resources in the Gainesville area. 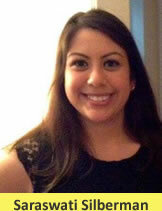 Congratulations to Saraswati Silberman on her graduating from William and Mary law school. Sarasawarti is the daughter of Satyavati devi dasi and Shyamakunda das. Learn about our Cow Protection Program at our Face Book Page or our Web Site. Learn about our Retired Cow Program at Save the Cow website. Remember, you can't have cow protection without a retired cow program. That's what it's all about! Ticket includes, round-trip bus fare from the temple to the beach. The bus seats 55 people. 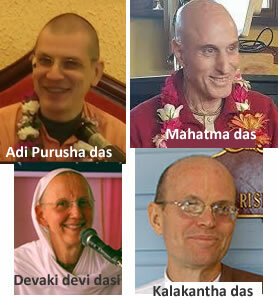 If you are unable to pay via paypal using the link below you can also write out a check of $15 to: "Iskcon - Festival of Chariots" and hand deliver it to Bhadra das, Pranaya Keli devi dasi, or Govinda Carol as per your convenience prior to April 27, 2019. PayPal Link. Where & When: Temple Room - Wednesday, May 8th & Thursday, May 9th from 7 - 8:45 pm │Ekadasi Vrata Devi Dasi’s house - Friday, May 10th from 6 - 8:30 pm. •	explore how our false ego is prompting us to act counter-productively, thus creating our miseries. •	learn practical tools to disregard the dictations of the false ego, thus enabling us to cultivate the most important qualities of: -	tolerance, -	gratitude, -	forgiveness, and -	humility. •	enable devotees to accelerate their spiritual development. Devaki Devi Dasi has served for many years on the GBC Devotee Care Committee and strongly advocates care of every ISKCON devotee as ISKCON’s highest priority. She played a key role in establishing the highly successful Institute for Spiritual Culture in 2014, as well as the Bhakti Sangam Festivals in Sweden and Bangladesh. 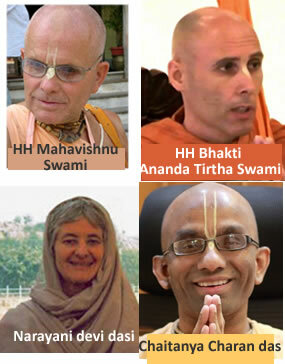 She regularly conducts Holy Name Retreats in different countries throughout the world. YOUR TITHING DOLLARS AT WORK At long last we have started our lighting improvement project, and Phase I is almost complete. Phase I: Three new lights for the field side of the parking lot, and one new light pole for the front side by the fountain, give us 5 working tall pole LED lights that come on in the dark and go off in the light. This phase will complete next week with one new light fixture near the yajna pit, and a fix for the light on the walkway at the bulletin board. Phase 2 includes flood lighting attached to the back of the overhang at the vendor area lighting the playground and that field where (and only where) the children can kick balls around, as well as putting all the under-lighting onto one switch eliminating the slew of extension cords on the ground. Phase 3 is also in two parts. One will add flood lights off two sides of the pavilion where picnic tables are set up, the second will handle the cafe lighting under the prasadam serving table so that they come on and go off with the flick of (one) switch. One of the goals of our Eco Teaching Farm is to create an opportunity for classes outside of our own community to come out and visit the Temple. Our Eco Farm is ideal to draw in students of all ages. We have created ctivities with our cows, planting, natural construction, cooking over cow dung stoves...the list goes on. There are so many learning opportunities in nature. Please consider making a contribution in any amount and help make this happen. DONATE HERE. We provide the labor! !